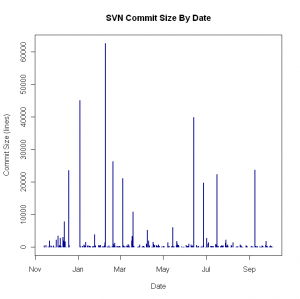 Here is an example of using the SVNKit API to crawl a SVN repository and pick up the commit sizes. 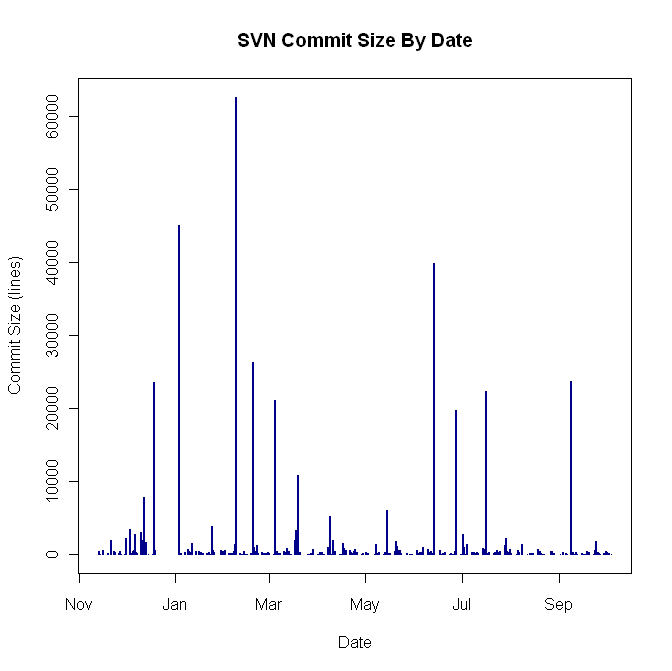 It uses a very simple (and incorrect) heuristic for estimating the number of lines changed per commit – it just gets the absolute value of the difference of the numer of lines added and subtracted per commit. The code below will produce a comma-separated values file containing the author, commit time, line change count estimate, and revision number. 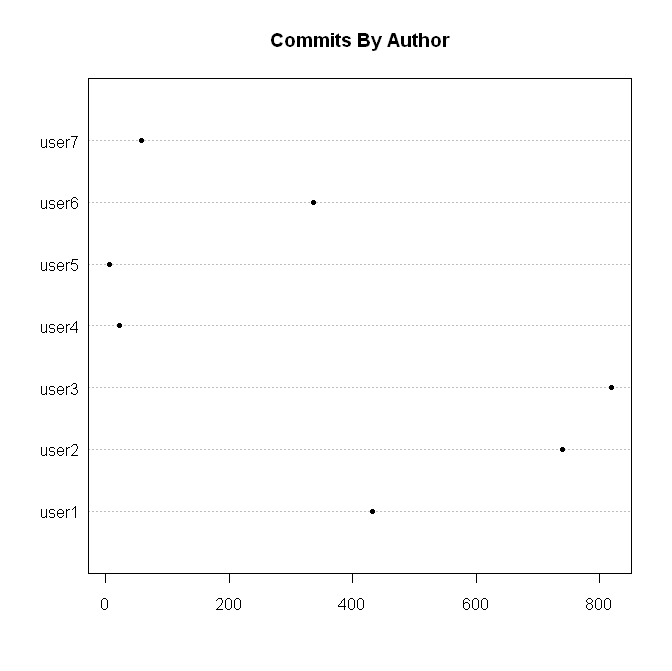 You can see from the entries for the first couple of authors above that the mean is skewed by some very large commits – making the median a much more robust measure of average lines per commit. 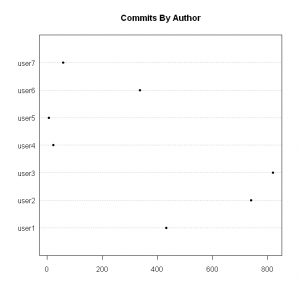 writer.write(current.getRevision() + "," + current.getAuthor() + ","